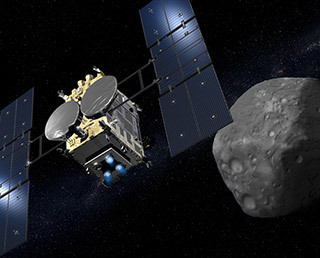 Here's the news release from the Japan Aerospace Exploration Agency that asks the worldwide public help in naming the asteroid its Hyabusa2 spacecraft will be exploring. Be a godparent to an asteroid! How cool would that be!